Junior Coaching - Queensland Tennis Centre - Play Tennis, Court Hire, Coaching, Fixtures - Brisbane, QLD. The Queensland Tennis Centre provides children and teenagers aged 3 to 18 years with high quality tennis coaching programs to suit any standard from beginner to aspiring pro. Our junior group coaching classes ensure students receive personalised attention to maximise their skill development. The friendly and nationally accredited coaches at the Queensland Tennis Centre are proud deliverers of our junior coaching Development Pathway. 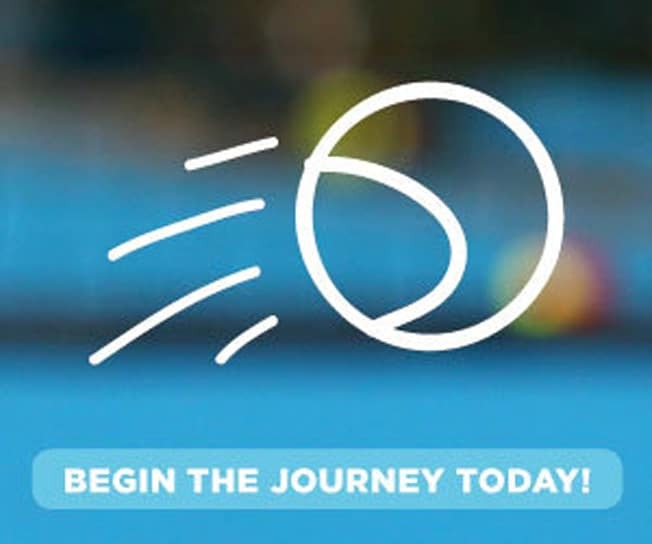 This is aligned with Tennis Australia’s ANZ Hot Shots philosophy of using modified courts and balls to give children the chance to serve, rally and score from the early stages of their tennis development. The Hot Shots Minis program is specially designed to enhance children’s fundamental perceptual motor skills. Through fun games and challenging activities players will learn skills such as movement, balance, throwing, catching, tracking and striking. Once successfully mastering this program, players will graduate to the Hot Shots Kids Tennis Program. Parent participation may be required in this program. The player learns not just how to hit a ball but why! Players refine their skills with greater focus on shot selection, technique & rallying with a strong emphasis on serve. Players will be match ready in no time. A Participation Points Ladder is kept for player motivation & to inspire them to play. Players are strongly recommended to play in the Hot Shots RED Match Play. This squad is 50% Technical & 50% Match play. There is a greater focus on executing spin control with correct grips being used across all shots. Movement, shot selection and anticipation are heavily emphasised. A Participation Points Ladder is kept for player motivation & to inspire them to play. Players are strongly recommended to play in the Hot Shots ORANGE FIXTURES. This squad is 50% Technical & 50% Match play. Game play strategies, court movement and structured play are key focus points. Grips & spin control are reinforced with all players looking to heighten their decision making abilities in a competitive match. A Participation Points Ladder is kept for player motivation & to inspire them to play. Players are strongly recommended to play in the Hot Shots GREEN FIXTURES. This program is tailored towards those who have limited tennis experience all the way up to the more competitive player. Grading is an ongoing process making it easy to cater for any level of player. Stronger players will learn to adapt their abilities to suit all tennis environments (eg: Tournament surfaces & how to read other players) while looking to heighten their decision making abilities in a competitive match. All players learn to play both singles and doubles formats highlighting tactics and strategy. Players are strongly recommended to play Friday Night Fixtures as a minimum. Competition Inclusive Coaching!